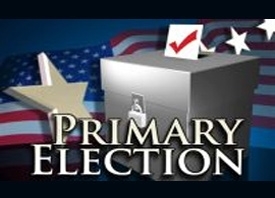 The candidates are still out on the stump pleading their case, but Kansans have begun casting votes for the Aug. 3 party primaries. Secretary of State Chris Biggs says the early voting period began Wednesday and runs through noon on Aug. 2. Registered voters can vote early using absentee ballots. They can also cast early votes at their county election office, beginning either July 27 or 20 days before the election depending on the county. All absentee ballots must be received by the county election officer by the close of the polls on Aug. 3.